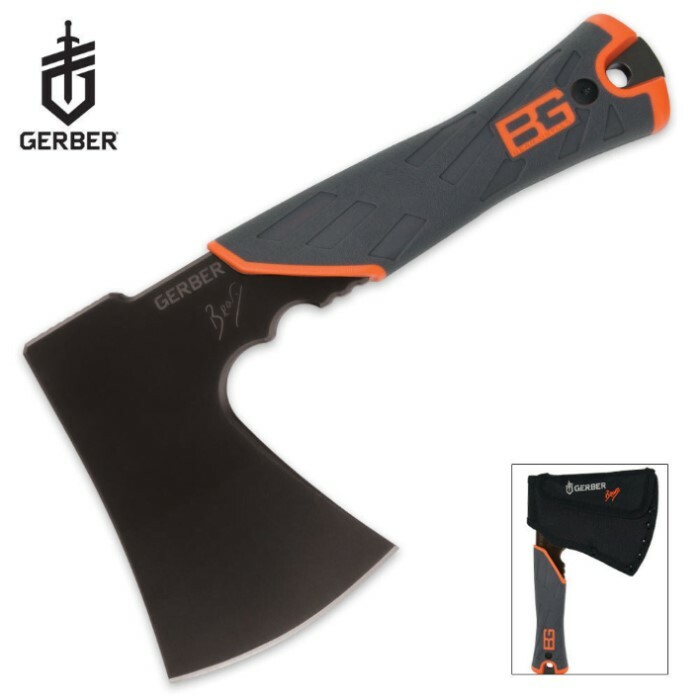 Gerber Bear Grylls Survival Hatchet | BUDK.com - Knives & Swords At The Lowest Prices! This full-tang survival hatchet is just the tool you need to have with you! Hack through the toughest of materials with this Gerber/Bear Grylls hatchet.